As a matter of urgency, the European Banking Authority (EBA) is doing what it should have done over a year ago – to examine EU banks' ability to bear the consequences of a massive sovereign debt restructuring. The Financial Times reported the news, noting that the potential shortage of capital in the banking system could amount to 200 billion euros. European banks were subjected to stress testing in 2010 and 2011, but both times the exercise did not include a scenario of debt restructuring or bankruptcy of a eurozone country. For that reason the stress tests have been heavily criticised by many economists and analysts. The first signal that the tests have not been performed rigorously enough was the collapse of the Irish banking system shortly after the Irish banks passed the stress tests. The need for urgent recapitalisation of the financial sector has forced Dublin to request a rescue loan from the EU and the IMF. In 2011 new stress tests were conducted with the promise that they would be stricter and more reliable than last year's ones. However, only two months later IMF Managing Director Christine Lagarde called on the EU urgently to recapitalise its banking system. Although then Brussels seemed to be offended by her statements and denied such a need, it is now a public secret that Europe is considering an urgent, massive and common plan to recapitalise its banks. The reason is growing market concern that the debt crisis may turn into a banking one, because of the risk of a Greek default. The first obvious sign is the Franco-Belgian bank Dexia, which is threatened of sinking because of its large exposition to Greek debt. According to Belgian media, in September only depositors have withdrawn funds amounting 1 billion euros from the bank. Although Dexia has passed the July stress test it would probably be "bailed out" with public funds for the second time in three years. So, it was needed the EBA urgently to examine which are the other potential "victims" among the European banks of the Greek (and not only) problems. After the eurozone finance ministers' meeting on 3 October, EU Economic and Monetary Affairs Commissioner Olli Rehn also stressed the need for a joint and coordinated approach to stabilise the banking system. "There is no secret at all that European authorities and the European Commission are all working together on a plan to bring more official, public capital into the banking sector precisely to restore confidence," the European head of the International Monetary Fund, Antonio Borges said. According to him, there was a general consensus that the matter was urgent and must be dealt with in the coming weeks, EurActiv reported. 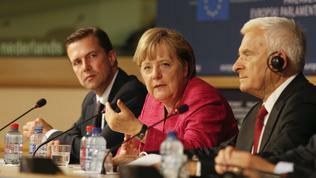 In the European Parliament German Chancellor Angela Merkel said Germany was ready to recapitalise its banks. 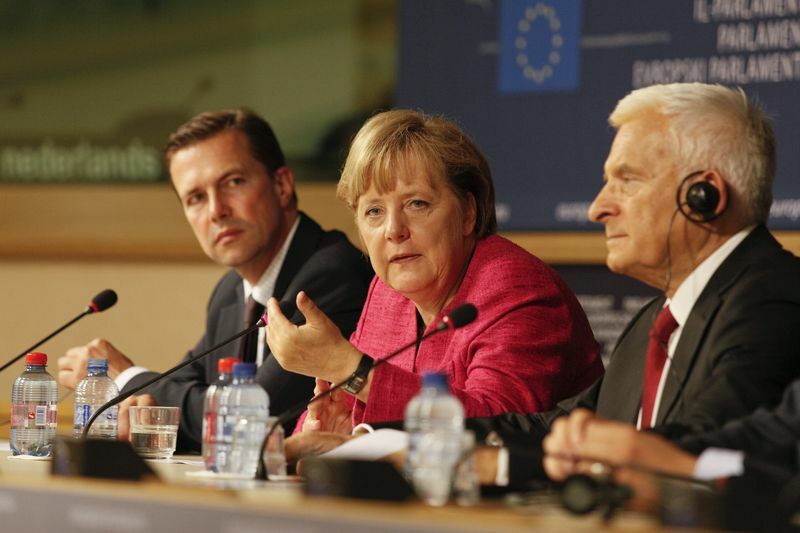 Ms Merkel, however, explained that, first, banks should try and raise capital by themselves, and only if they failed the government would intervene. "If a given country cannot do that and if the stability of the euro is in jeopardy because of the difficulties in that country, then the possibility of the EFSF can be used." As you know, one of the new functions of the eurozone bailout fund is exactly to recapitalise banks. Expanding the scope of the EFSF is currently in a process of ratification and was already agreed by most euro area countries. By mid-October the changes are to be voted in the Netherlands and Slovakia. The question is whether the fund will have sufficient resources to fulfil its new functions, which besides the recapitalisation of banks include buying debt on secondary markets (currently made by the ECB) and to grant credit lines for countries without rescue programmes. European leaders are seeking opportunities to increase the fund's capacity by increasing "the efficiency of its instruments," avoiding the need eurozone countries to pay more capital. One option is to register the fund as a bank with an access to refinancing by the ECB. Some key eurozone countries and the ECB itself, however, are opposing this idea. During his last hearing in the European Parliament ECB President Jean-Claude Trichet was repeatedly asked by MEPs about this proposal but he bluntly refused to answer. 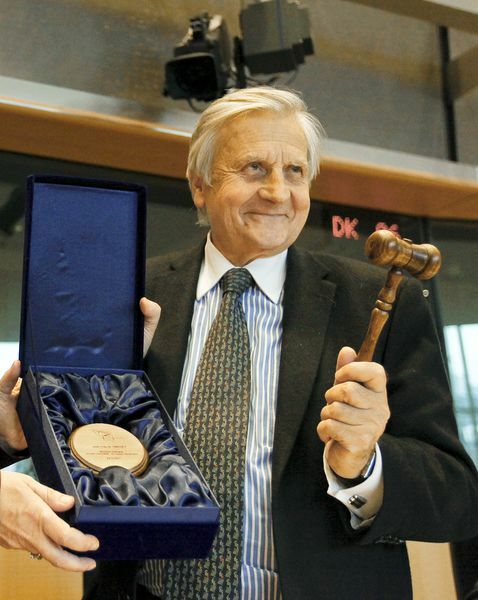 Mr Trichet only recalled that among the "non-standard measures", used by the ECB, providing unlimited liquidity to banks was the most important one, although it remained invisible, because it had not been criticised. 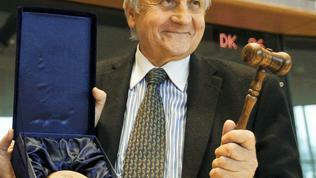 "I would not call for any change of ECB mandate at that stage," Trichet said laconically. The other option, intensively discussed, is to activate the permanent bailout fund (the European Stability Mechanism, ESM) earlier, from 2012, because it has greater capacity and provides additional means. The difficulty comes from the need Europe to solve urgently and simultaneously two problems, which reinforce each other in a vicious circle - the debt crisis requires additional funds, which are also necessary for the recapitalisation of banks, and any debt restructuring will increase the need for pouring money into financial institutions. Most probably, the private sector participation in the restructuring of the Greek debt, agreed on 21 July, will be increased, because under current conditions it would not reduce sufficiently Athens's indebtedness. However, it raises the question of the banks' ability to cope with potential losses and the possible need for public support for the financial sector, against the background of growing market distrust. 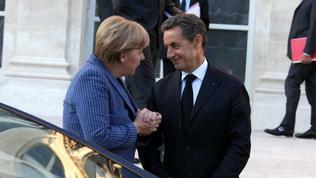 The issue was discussed by German Chancellor Angela Merkel and French President Nicolas Sarkozy on Sunday, 9 October. French financial institutions have large exposures to debts of eurozone peripheral economies. 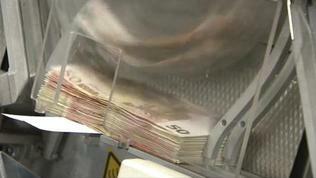 Paris is unwilling to take the recapitalisation of banks with national funds and is lobbying for a pan-European operation financed by the rescue fund. The issue is sensitive also because of the threat France to lose its AAA credit rating, which would create problems for the EFSF, as it relies on the highest rating of six countries to raise market funding. The meetings of both leaders have become a usual manner for coordination of positions before each European Council. The next summit of EU leaders is on 17 and 18 October and euinside will follow it live from Brussels.